Graduate in sciences/relevant subiects from a recognized Univ. with three years' work experience from a recognized institute or Master's degree in the relevant subject. 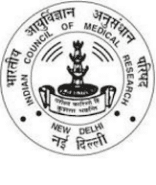 Director Officeat ICMR-National JALMA lnstitute for Leprosy and Other Mycobacterial Diseases (NJlt&OMD), Tajganj, Agra-282001, INDIA. National JALMA Institute of Leprosy & Other Mycobacterial Diseases recruits Research Assistant Posts. Candidates with B.Sc., Post Graduate experienced can apply.